The National Assembly in Parliament did not see enough votes to pass the Copyright Amendment Bill on Wednesday afternoon. It is this bill that the Department of Trade and Industry promises will empower authors, composers, artists and other professionals in the publishing sector. Critics of the bill in the publishing world fear that gaps in the bill could cost the publishing industry R2bn yearly. There was a division in the house over the reading of the bill for a second time. The division saw 189 votes for the bill being read a second time, nine votes against and no abstentions. The house needed 201 votes for the bill to be read a second time to turn the legislation around. The outcome of the division effectively postpones the adoption of the bill by the National Assembly. 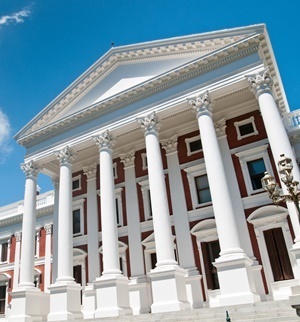 Authors belonging to the Publishers Association of SA have opposed the bill amid fears that its clause on exceptions and limitations will allow published creative and academic works to be exploited at the expense of the creator and rights owner. For example, the bill allows for a certain quantity of content from textbooks to be photocopied for university students and basic school learners, with publishers fearing that this may discourage the purchase of the original literature. Thursday will be the final opportunity for the bill to be passed by the National Assembly.